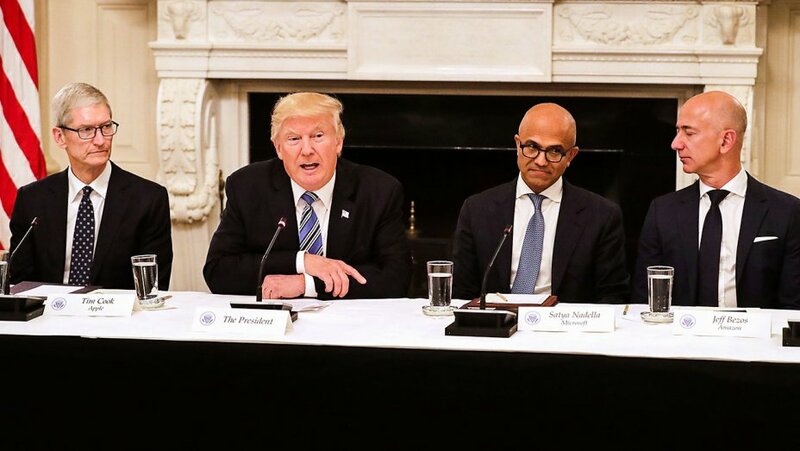 Executives from some of the world’s biggest tech companies ventured to the White House Monday to take part in the first meeting of the American Technology Council, an advisory group that is supposed to help the Trump administration in its quest to modernize government. 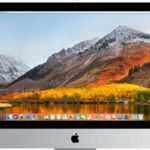 According to a report from Recode, tech execs, including Apple‘s Tim Cook, Amazon‘s Jeff Bezos, Alphabet’s Eric Schmidt, and Microsoft’s Satya Nadella, were all in attendance at the White House. The day-long affair kicked off a week of conversations about the state of the government infrastructure as well as tech policies like cybersecurity, talent recruitment, and government and private sector partnerships. During the course of the meeting, according to a report from Recode, Trump maintained that the US Federal government was woefully behind the private sector in terms of technology, and that it needed to catch up. He also said that it was the responsibility of federal agencies along with the government itself, to offer better services to its citizens. “Trump admitted the feds had to ‘catch up’ with the private sector: He said federal agencies had to deliver ‘dramatically better services to citizens,’ for example, while buying cheaper, better technology and adopting ‘stronger protections from cyberattacks,'” reads the report. The tech execs touched on familiar themes during the public portion of the meeting, with Apple CEO Tim Cook calling for making coding a mandatory part of the US education system and Nadella focusing on the value of immigration. Bezos said it was “impossible to overstate” artificial intelligence and its future importance. This is the second time executives like Cook and Bezos have met in this kind of setting with Trump. In December, then-president-elect had invited executives to a roundtable discussion at Trump Tower. That meeting was widely panned as a photo op for Trump, and some of the executives came under fire for their participation.